Here’s a what I have been up to lately with my #CookEatInspire post. Thanks for reading all! During the summertime I tend to cook food that involves less time by the hob and more easy, light and refreshing dishes that suit the milder weather. 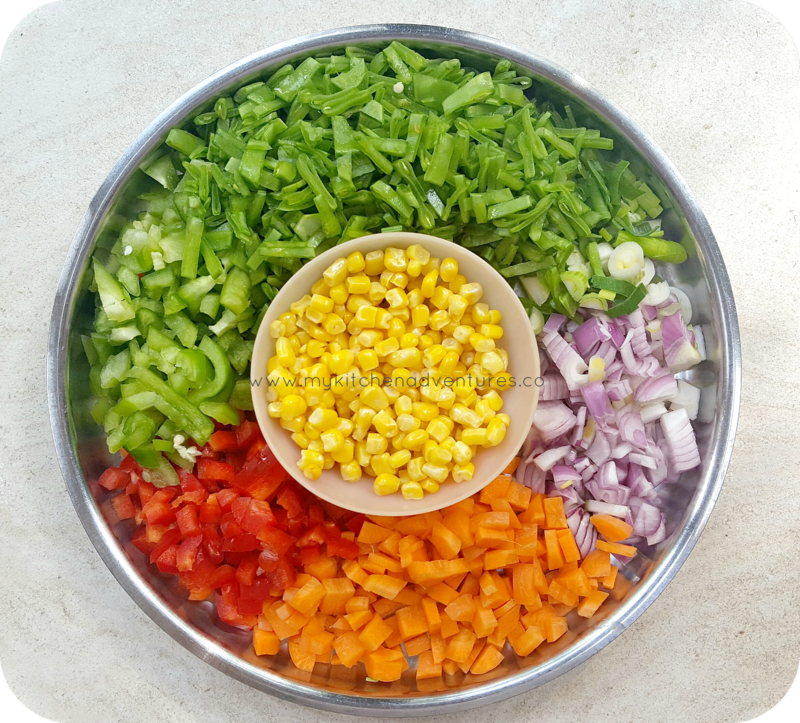 Although vegetable pulao is mostly cooked on the hob, I have used a good selection of veg here that can be pre-cooked in the microwave/steamer before adding to the pan, to make cooking time even quicker. You can also use a Pressure Cooker, and I have mentioned the cooking times for that method below. The first veg pulao was named ‘Rainbow Rice’ by niece and I have decided to name it this in honour of her and let’s face it, it sounds much more fun! 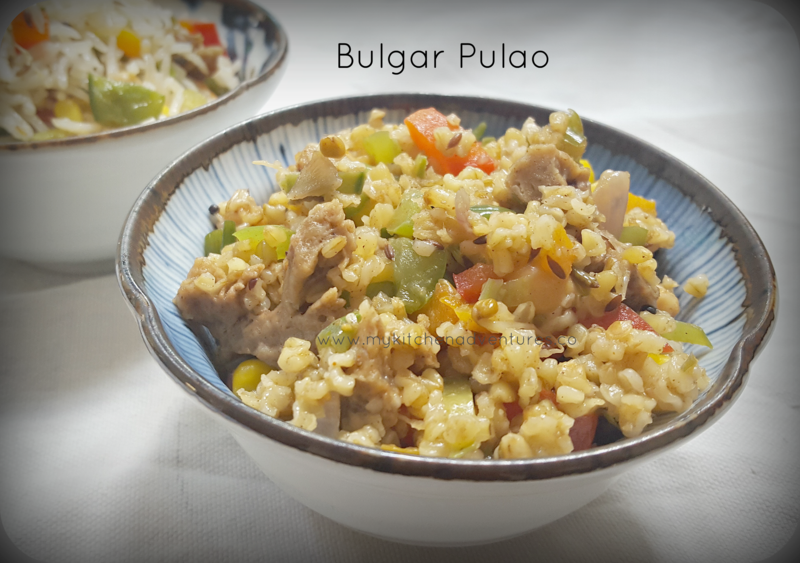 The ‘Rainbow Rice’ recipe was one made for my niece and nephew so has little spice, but the other ‘Bulgar Pulao’ was made for adults and you will find a more typical Pulao recipe but replacing the traditional rice with Bulgar. The cracked Bulgar wheat I find gives the dish different nutrients and more diabetic-friendly and I have tried this with other millets and quinoa too, which all give different textures. Soak the Basmati rice for at least an hour to ensure you get the correct texture. Peel and grind ginger, garlic, cinnamon with little water to fine paste. At this point, if you prefer to steam your mixed veg, you can do so now in the microwave or steamer. In a saucepan, heat the oil and then add the Cumin seeds, Cardamom, Clove and bay leaf. Then add the chopped onions and sautee until transparent. Add the ground ginger cinnamon garlic past, mix well and don’t let it burn. Add the vegetables and cook everything together on medium flame for about 5 mins. Then drain the rice and add to the pan and mix until well combined. Add salt, water and bring to a boil. 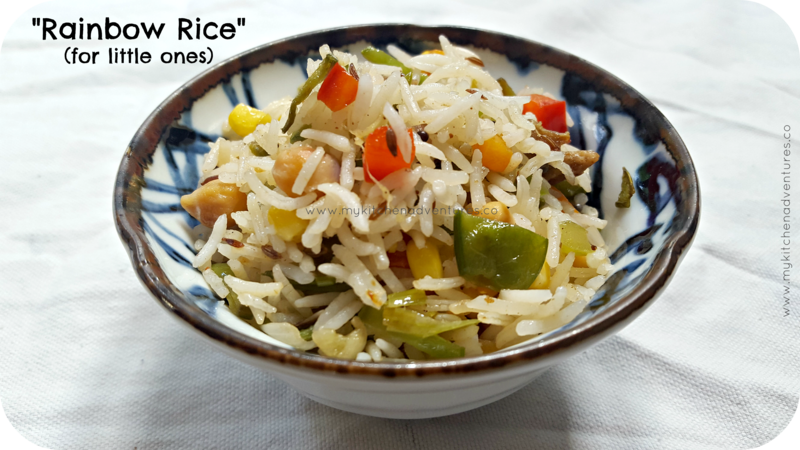 Cook for about 12 – 14 mins until the rice and veg are cooked through. If using a pressure cooker you can cook for 2 whistles instead. Use a fork to fluff the pulao carefully and then finally add the butter (if using). You could garnish with purple cabbage (cooked and chopped) for a further flurry of colour! Enjoy seeing the faces on the children when you announce this as “Rainbow Rice”! 🙂 Ok, so maybe the older children won’t be that excited… haa haa! It will perfect to take away for picnics or other day outs and you won’t have to worry that your little ones haven’t had a good meal. Peel and grind ginger, garlic, green chillies, cinnamon with little water to fine paste. At this point, if you prefer to steam your mixed veg, you can do so now in the microwave or steamer. Add the vegetables and cook everything together on medium flame for about 5 mins. Then add the Bulgar wheat and mix until well combined. Add salt, water and bring to a boil. Cook for about 12 – 14 mins until the Bulgar and veg are cooked through. Use a fork to fluff the pulao carefully and then finally add the butter (if using) and you can also garnish with chopped coriander leaves and spring onions. 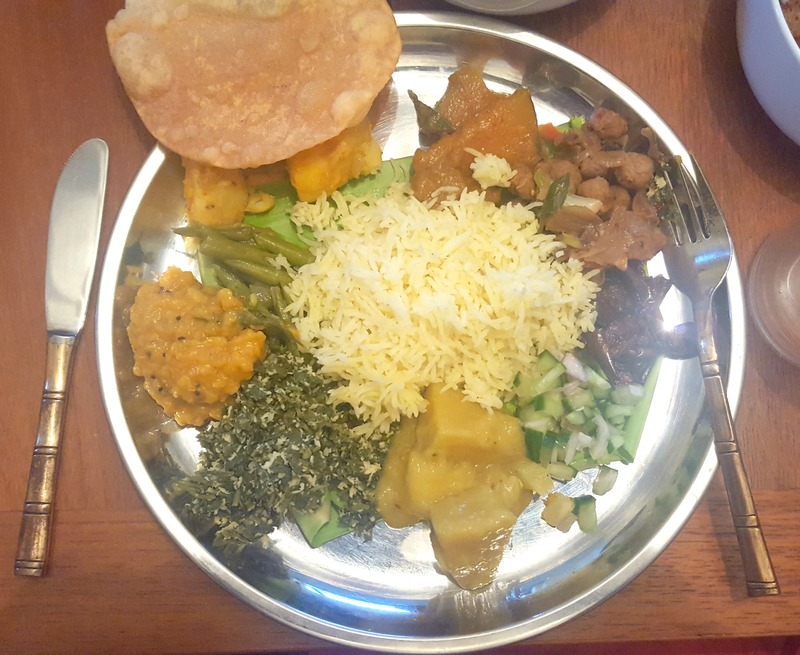 Want to try authentic Sri Lankan home cooked food? Then you NEED to follow Virundhu Supperclub! I was fortunate to finally make it to their third supperclub and I sure am glad I didn’t miss it this time! 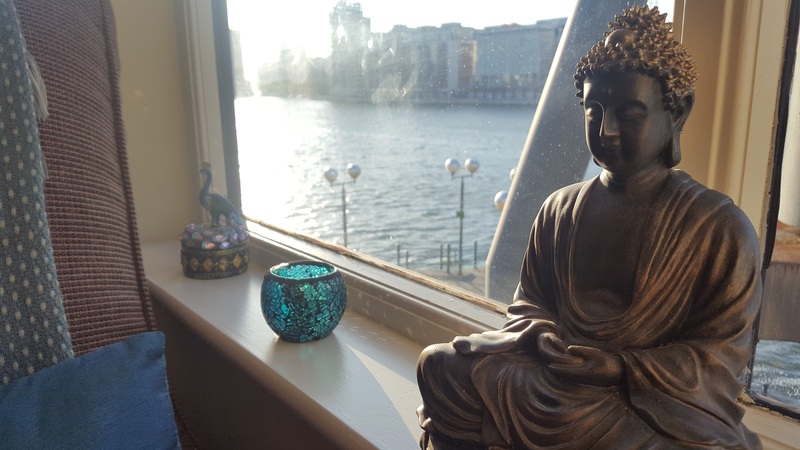 It was held in the very trendy, easily commutable, Docklands area and the venue had a gorgeous view of the Thames. The Supperclub is curated by the effervescent Ashanti Omkar who has done such an amazing job at coordinating the event and is a well known in the London Foodie circles ! The very talented Suhanya is the Chef who hails from such an interesting family of Keralan and Srilankan heritage and her passion for food definitely showed in the dishes she cooked for us! Her husband also helps behind the scenes and Suhanya’s sister, Veena, was the Host and Mixologist for the evening and is also a passionate foodie herself. 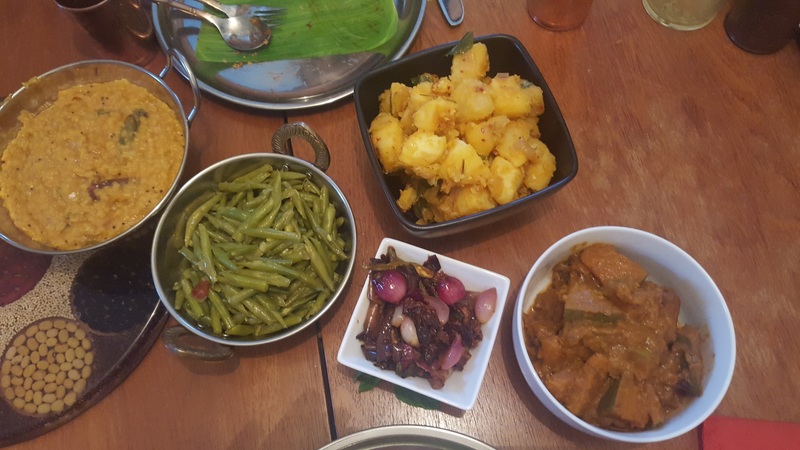 There were about 10 guests in total and all were fabulous company, including the wonderful Chef Kanthi and his business partner from The Curry Leaf Cafe in Brighton (one of the next stops on my Food Bucket List!). It was a hot day and the Cocktails (and the mocktail version) served by Veena were such a welcome refreshment! 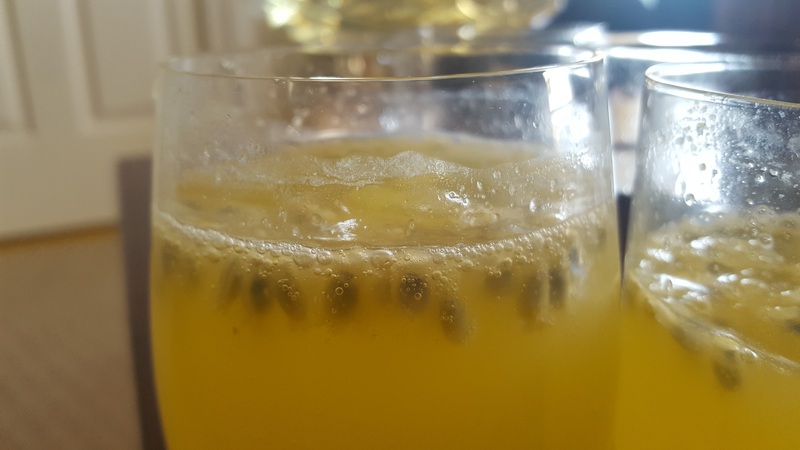 The passionfruit really stood out and frankly, I could have drunk a bucketful. Sluuuuurp! To start off the Supperclub we were served some very moorish ‘Gundu Dosa’s’ which are just like the South Indian ‘Kuzhi Paniyaaram’. 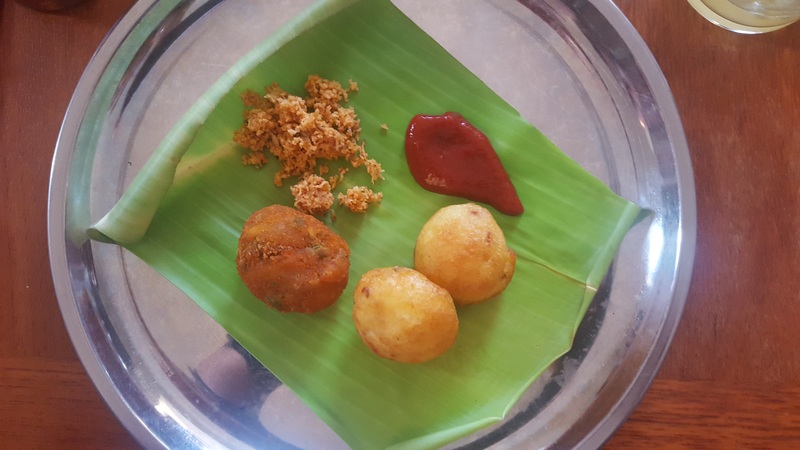 It was impressive to eat these with homemade tomato ketchup and Sambal (a typical Srilankan coconut chutney). There were also some yummy cutlets which reminded me of one of my Aunties from Sri Lanka who often bought these to picnics when we were younger. You will definitely find cutlets of some sort in a Sri Lankan Picnic Basket! I’m drooling as type this and revisit the photos, as I just want to have this meal all over again! There were SO many items on the menu and my photos and descriptions do not do them justice. Some tastes you just have to find out for yourself. 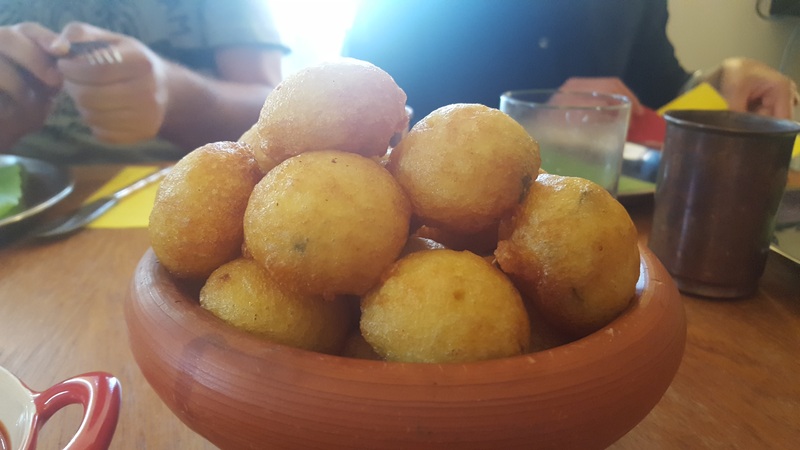 You can tell the food is made from the heart and for me it was such a warm experience and I felt transported to one of our family homes in Sri Lanka. The beautiful music collection chosen by Ashanti added to the lovely ambiance and my husband and I couldn’t help singing along to some of the classic Illayaraja tracks during the evening 🙂 If you do get a chance to taste the food at Virundhu Supperclub , then I can tell you that you won’t be disappointed. It will be a ‘Virundhu’ (feast) for ALL your senses! I am very excited to write about a very very talented person who is a continual inspiration to me both as a great food photographer and as a beautiful human being. She is the lovely Nessy Samuel. 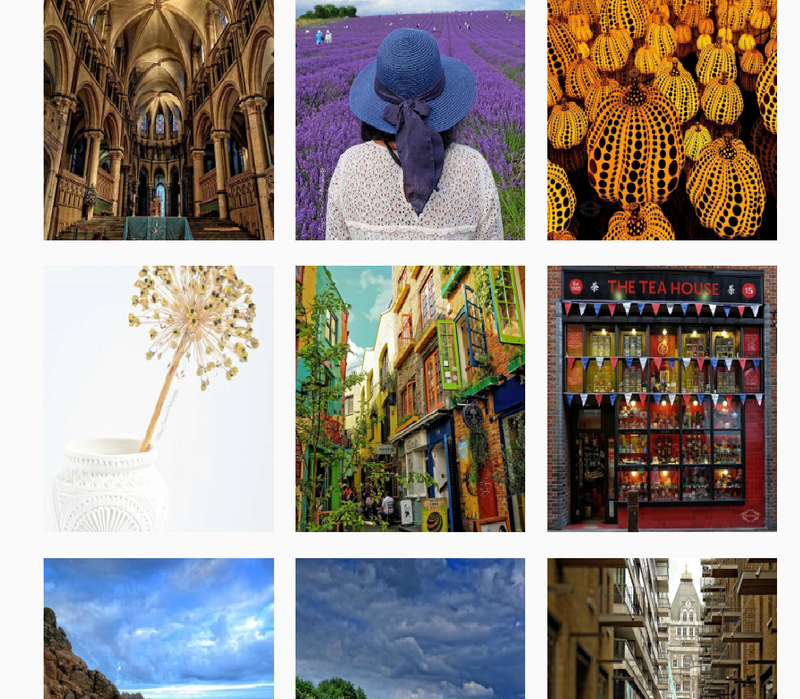 Nessy’s use of light, angles and composition of the photo’s are really awe-inspiring and it really brings out the best in what she is trying to capture. 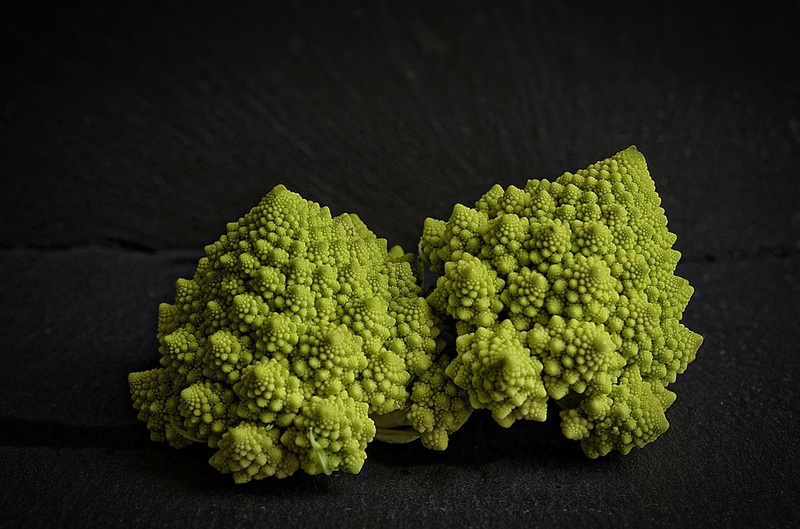 This photo below of Romanesco cauliflower is just stunning and you can get a great feel for the textures and colours with the background she’s chosen.